"They'll never put no cuff on me....." With this proud boast, Gangdom's most amazing gunman ran to meet the destiny that waits for every killer. Rico was that kind of man. Handsome, hard and brutal, Rico had slammed his way to the top of Underworld- schemed, tricked, betrayed, murdered, broke every man's law but his own! Con-men and weaklings feared him. Gang-girls worshiped him. One man vowed to get him! 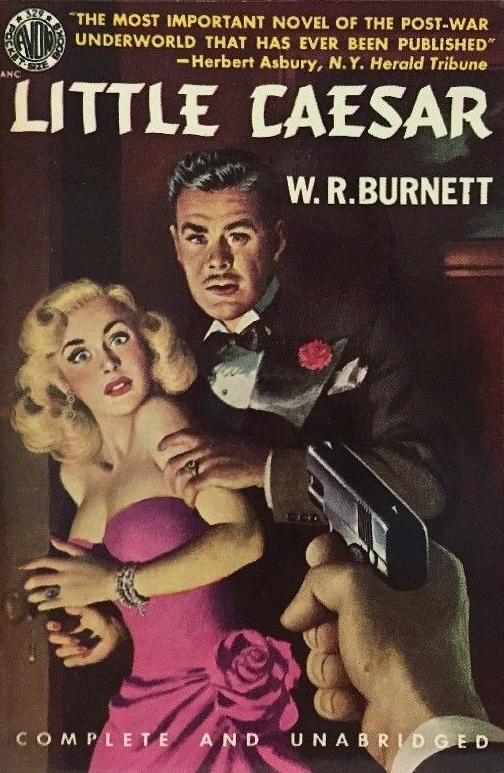 Everywhere mobsters knuckled under, hailed him as their Little Caesar. But the shadows of the Underworld were whispering - Caesar Must Die. Here are pages filled with acrid gun-smoke, crackling with action, explosive with all the pent-up force of a Gangland ready to blast Hell loose from its moorings. 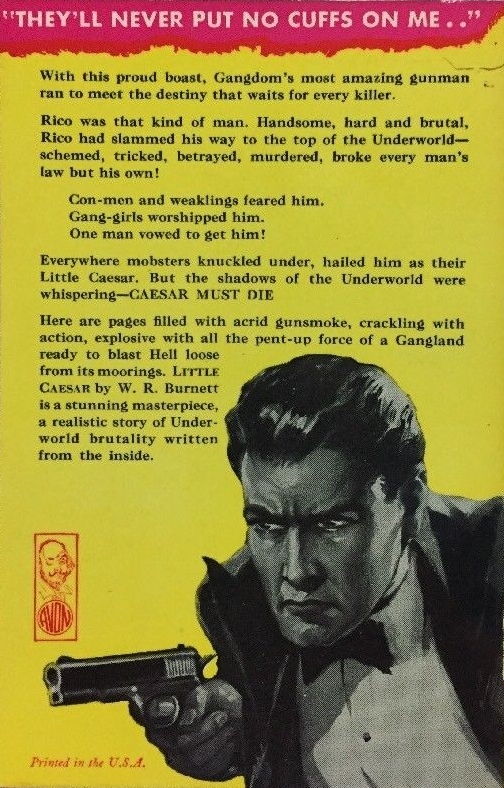 Little Caesar by W. R. Burnett is a stunning masterpiece, a realistic story of Underworld brutality written from the inside.